Here you can see which donations we have made. 2017 have, just like other years, brought many good wishes. We have chosen some wishes, that truely does something amazing. We are so glad that we can help them. The organization Børn, Unge og Sorg wrote to us on our website with their WiSH about cooperation about project Håbefulde Historier. The Teenage years are a particularly vulnerable period, and studies show, that young students are all alone with grief. They don’t get any support from the school, teachers or friends. This increases the risk of education dropout, mental vulnerability and social problems. With project Håbefulde Historier they want to in light, visualize and abolish taboos disease and death among high school students. Børn, Unge og Sorg will through project Håbefulde Historier make dialog with the young people about how it is to be in high school while you have a disease or death up close. The dialog should also make sure, that teachers, student counlesors and classmates can support students, who has a family member who is seriously ill or has died. During the first face of the project, Børn, Unge og Sorg are going to visit: Øregaard, Ordrup, Greve, Nærum, Ørestad, Gl. Hellerup, Birkerød, Mullernes Legatskol (Odense) og Viby (Aarhus) high schools. From the first moment we read this we knew, that this is the kind of WiSHes that we want to grant. So it was with big pleasure, that we partnered up about project Håbefulde Historier. Nakskov KulturFestival held for the third time a festival for and with children, young- and older people. For this event, they WiSHed for a donation for a gaming day for children and young people in Garageanlægget with Fifa 17 tournament, Just Dance and Virtual Reality. It is with huge joy, that we donated to SPORTSGAMING under Nakskov KulturFestival in Toldboden Wednesday the 2. of August 2017. It is events like this we want to support. 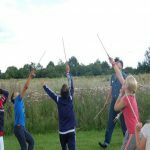 A local event where children, young people and childish adults have the possibility to get a great day together with lots of movement and community. It is life-affirming to know, that our delicious Lollandske WiSH juices help to create joy in the local environment. Ungdommens Røde Kors sent us a WiSH about them wanting to send more children on camp. Ungdommens Røde Kors’ camps are about creating good experiences for children and young people, who might not have the possibility to go on vacation. On the camps they are holding the children’s hands, they are chearing for and listening to the children, and at the same time children get good experiences and new friends. 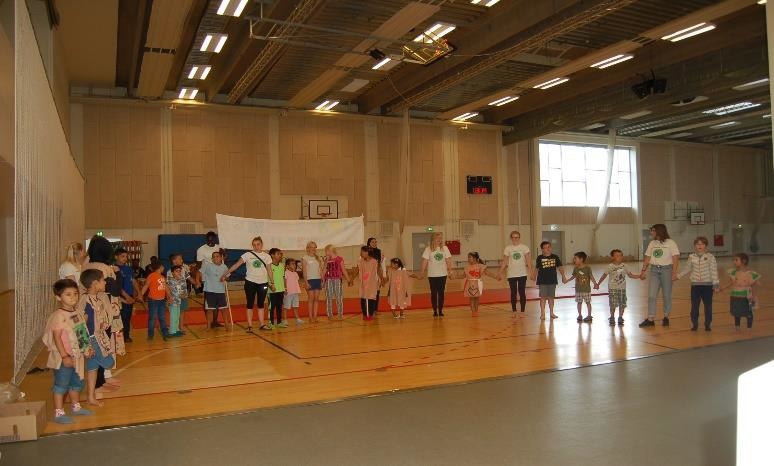 We are very honored that we could help, so that more children can get the opportunity to get on Ungdommens Røde Kors’ camp. In 2016 we have help these 4 cases. This is 4 really fantastic cases, and we are so happy to have helped them. Natteravnene focuses on creating safe and responsible grown-up contact for children and young people. Often this is during the nightlife, where many can be in the need of help or good advice. Natteravnene operate in teams of three people, and together they move around in the public space. 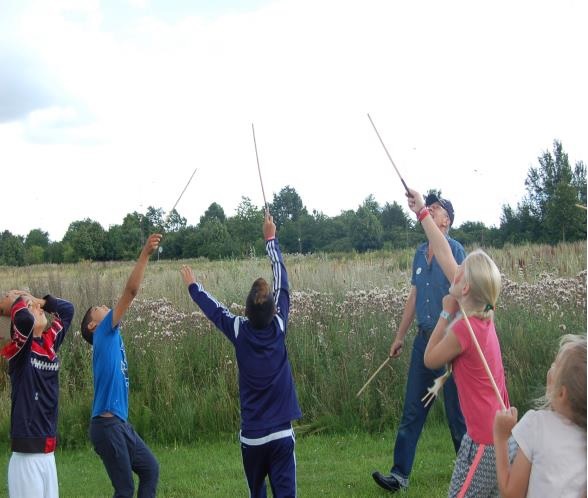 Natteravnene in Rødovre are currently 17 members, who voluntarily take turns to spend their free time on helping young people to safer places in the city. On their walks around the city they frequently meet people who need first aid. That is the reason that they made a WiSH on our website. They wished for a donation, so they could hold an extended first aid course for their volunteers, and to supplement their inventory of first aid material. This is exactly the type of cases we want to help. Natteravnene want to spend their free time in helping young people – and we want to help people who helps other. We received a WiSH from the organization “Familier med Kræftramte Børn”, who wished to help 5 children from Nakskov. The donation was so the 5 children, together with their families, could have a trip to Tåstrup, where they got a weightless experience. Familier med Kræftramte Børn does really amazing work with creating better terms for the children who every year is diagnosed with some sort of cancer. We are so proud and happy, that we have helped Familier med Kræftramte Børn with their work with helping other people. 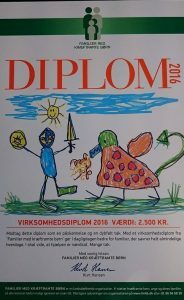 Mellemfolkeligt Samvirke have created a volunteer project called ”Sommerskole i Gellerup”. This project is financed solely through donations and sponsorships. 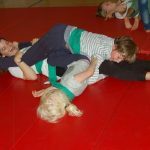 The summer school is an offer for the children in Gellerup parken and the rest of Aarhus as an activity for the summer vacation. 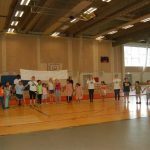 Their purpose is to offer fun and educational activities for the summer vacation, without any expenses for the participants. It is important for them, that it is 100% free of charge, and that they can offer lunch for the children, because they don’t want anyone to be excluded because of finances. 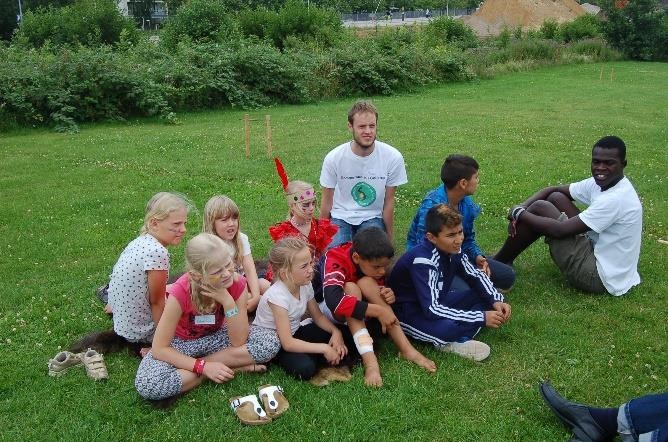 The summer school is planned and carried out by volunteering young people, often students. Every year they work hard to create an economic basis for the existence of the summer school. Because of this, we thought, that their WiSH were ideal to grant, because their WiSH was about a donation for the summer school 2016. This summer school sounds like something that takes a lot of time, and it is so amazing, that there are young volunteers there want this to be a possibility, and that they spend their free time on making sure that it will happen, just so children can get a good summer – Amazing. We are so happy and proud, that we have helped getting this summer school ready this year. The KFUM Scouts Langø is a relatively new troupe, located on the tip of Nakskov Fjord. They wanted to restore 2 Megin dinghies for the troupe to use. Everybody is welcome at KFUM Scouts Langø, they don’t care which background you have, what religion you believe or what gender you are. Restoring these two dinghies is very expensive for a small scout troupe, so we are very excited that we have been able to contribute, so they can restore these. At SEiMEi we are incredably proud, that 2014 ended with us having the opportunity to grant one of the many wishes our WiSH Fond have received. Sabina wished for IPads for the Childrens ward 5062 at Rigshospitalet, and they where delivered right before christmas in 2014. The IPads are donated with money gathered through our sales of fresh cold pressed and cold tapped juices with and without whole grain and stilla and sparkling water. At the handover, Sabina and nurse Elsebeth happily received the 6 IPads there were delivered by Allan Feldt and wife Mette Feldt on behalf of the WiSH Fond. In 2013 we met The Feel Good Way, which is a project that helps to create joy in people with special needs. The project is about creating development and creating a place where people with disabilities can get out and let go, move and dance as best as they can. Early in 2012 the SEIMEI Fund donated to 3 charities in Denmark. These 3 were specially selected by the SEIMEI funds where Helena Christensen is president. Our choice of these three besides being high on SEIMEI’S WISH page, where that they affected three very different areas all offering help to kids in Denmark. Music Life on Nørrebro Denmark is a voluntary music school where young people can come between 08:00 and 22:00 each day and get lessons in how to play instruments, singing, rapping, DJ’ing and much more. They create a place where children and young people with different backgrounds can come together and be united in creating something together. Girl Talk is a service for young girls, where they both online and over the phone can get in contact with adult women who offer them help and support with the problems they may have. They create a forum where young women can talk and get help with the things they may not feel they can say to others. Hjerneskadet.dk is a website for families affected by brain injury. It is a forum where anyone can download, support, help and learn by experience from others who are in the same situation. In collaboration with the center for brain injury they are trying to create security and increase the well-being of brain injury affected families.